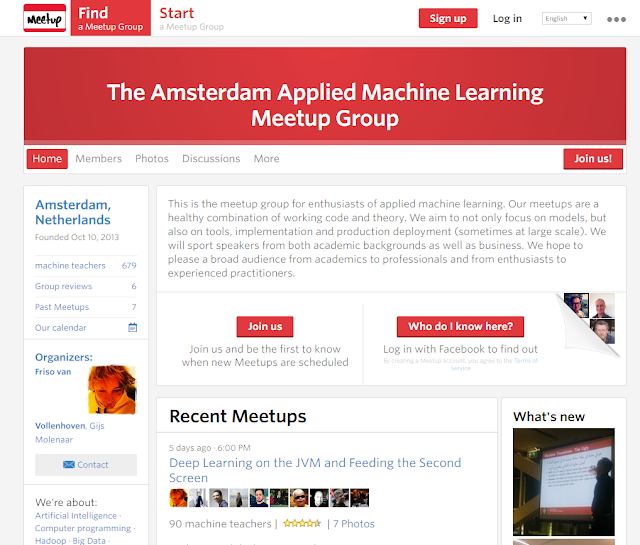 I attended my first meetup last tuesday here in Amstedam, from the Amsterdam Applied Machine Learning Meetup Group. There were 2 talks given about machine learning: one from commercial company and one from an academic party. It was very interesting and know I know that I only know very little. So I'll have to work on that! 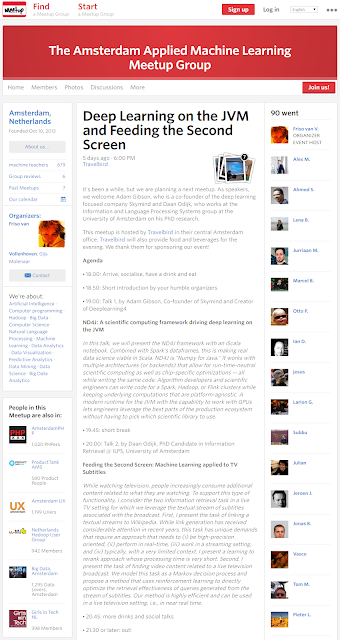 If you're in the Amsterdam area and interested in machine learning - sign up! It's very well organised and very interesting. Check it out here.